Are you looking for an affordable second home - or – are you considering downsizing into a single story home with a comfortable floor plan ? If you are, this may be it ! 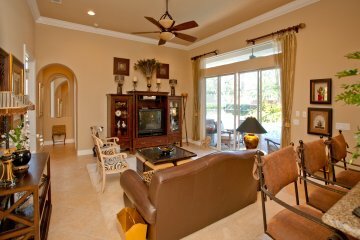 This spacious floor plan will adapt to any family formation. 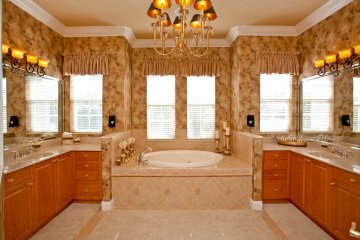 The owner interior designer has put all the finishing touches in here and will consider selling the home completely furnished. Just move in – and start living ! 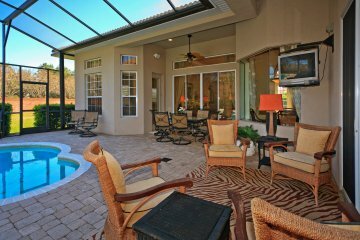 The home is located in an exclusive gated community of multi-million dollar homes on ¾ Acre cul-de-sac lot and boasts an upgraded interior. The open floor plan has been customized to include 4 bedrooms on the first floor, one of which is currently used as an office, and a spacious 5th bedroom with full bath on the second level, which has multiple uses. 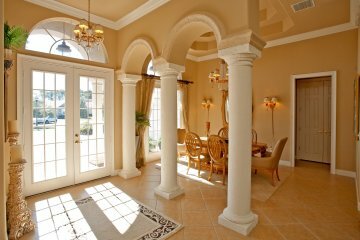 The formal dining and living areas are defined by stately columns. The moment you enter you are looking through the glass walls of the living area out to a beautiful pool embraced by a tropical landscape. 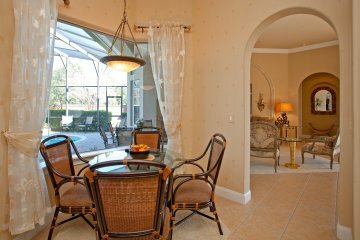 Glass doors from the Family Room and Master Bedroom also open to the Pool and Terrace, which is crafted with brick pavers. A well-planned Kitchen features top quality appliances, large pantry and gleaming granite counters over light wood cabinets. 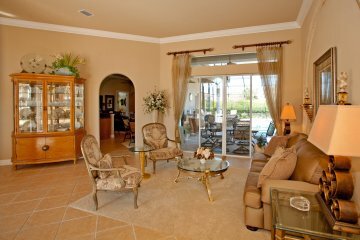 The home can be purchased fully furnished at additional cost. Owner is relocating - must sell! Only $ 725,000. and taking offers.